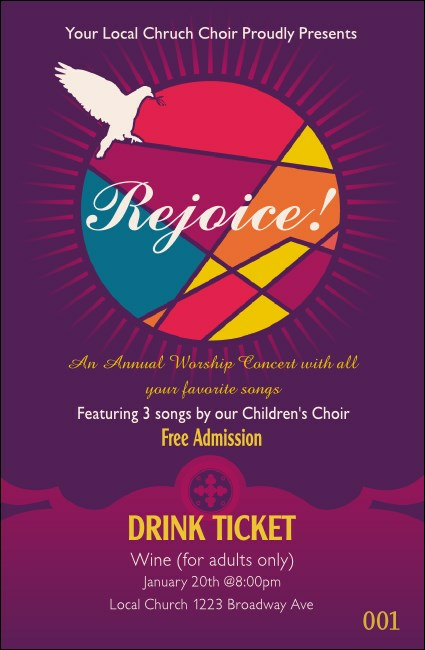 Add healing refreshments to your gathering and help organization with the Spiritual Music Drink Ticket. A radiant sun sits in the center, with a stained glass pattern of pinks, blues, and oranges. Gold and white script stands out on a lovely purple background. Pair with coordinating tickets, flyers, and invitations in a Matching Event Kit.